If you remember only one thing about natural fabrics, it should be that cotton is a terrible fabric for activewear . If you prefer to exercise in natural fibers, however, there are still some great alternatives. Bamboo has many benefits, but can be prone to stretching out over time. It may seem incredible, but the same plant that feeds pandas can be pulped and processed into a rayon (viscose) fiber that’s soft, anti-microbial, durable, and wicking. Bamboo has gained attention recently for being an eco-friendly alternative to synthetic fibers, but there’s some debate surrounding the eco-credentials of the processing used to turn the plant into the finished textile. Bamboo can be made into pretty much any type of fabric imaginable, but jerseys (with or without added spandex) are probably the most useful for activewear applications. Merino wool is a natural choice gaining popularity in ready-to-wear. This fiber is a great choice for both cold or warm weather exercise as it’s warm, breathable, wicking, and antimicrobial. It’s also less scratchy than traditional wools, and can be combined with spandex fibers to maintain recovery. It’s most often seen as jerseys and suiting fabrics, and is becoming more common in casualwear, too. Cotton is extremely hydrophilic, holding up to 25 times its weight in water, and takes an exceptionally long time to dry. If you’ve ever have the misfortune of wearing jeans to a waterpark, then you know they can still be damp at the end of a day! Once wet, cotton can lead to chafing in hot weather, or even worse, hypothermia in cold weather, which can cause death. Avoid cotton in all your activewear — including socks, where it can lead to nasty blisters. In the sewing world, many of us are natural fiber snobs. The 1970s cast a long shadow over the world of synthetic fibers — memories of clingy, sweaty polyester shirts certainly die hard! But synthetic fabrics have come a long way since then and not all polyesters are created equal. Take a look at the labels of your ready-to-wear activewear and you’ll see that nearly all are made from polyester, and yet still allow you to sweat and feel cool while exercising. This is because the new generation of technical fabrics are created to allow moisture through the weave and wick away from the body, where it can evaporate on the surface, keeping you cool. Technical fabrics can also be waterproof. It may sound like a contradiction, but some fabrics can be both breathable and waterproof, allowing you to get caught in a downpour but not feel steamy inside after a few hours of hiking. When most of us think of technical fabrics, we think of stretchy, breathable fabrics we can sweat in without feeling overly hot or cold. 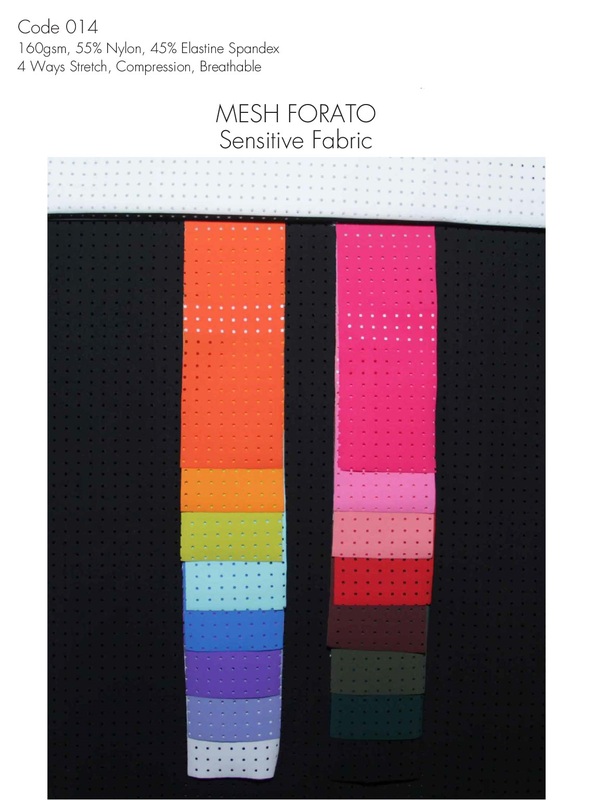 But there are many different fabrics which fit this description — from smooth or brush-backed jerseys, to large- or fine-holed meshes, piques, and rib knits. There really is a technical fabric out there for just about every activity! Synthetic wicking fabrics are so great at repelling water that they repel water in the washing machine, too. Dirt and body oils are difficult to remove, and can leave your activewear smelling funky after only a few washes. You can combat this by pre-soaking sports clothing in a vinegar solution or by using a special antimicrobial detergent like HaloSport. Never use fabric softener on your technical fabrics, as it can further prevent the detergent from reaching the dirt, as well as removing any special coatings on the fabric. To further preserve the life of your exercise gear, wash clothes inside-out with cold water and avoid tumble drying on high heat. 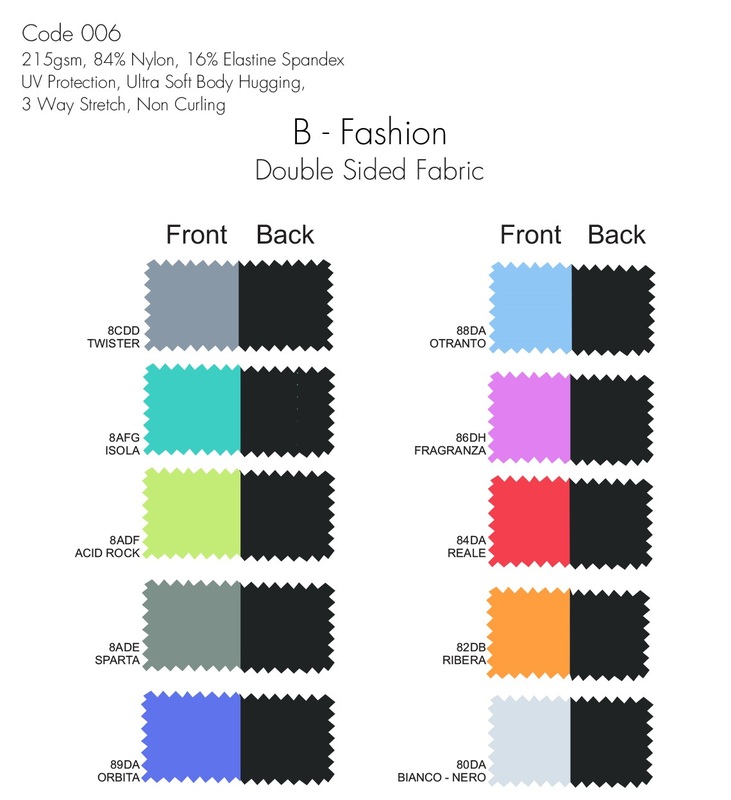 There are thousands upon thousands of trademarked technical fabrics, and I’ve included some of the most common ones available to home sewists below. Many used to only be available to large manufacturers, but are now seen more frequently in fabric shops, either as factory remnants or those made specifically for retail. 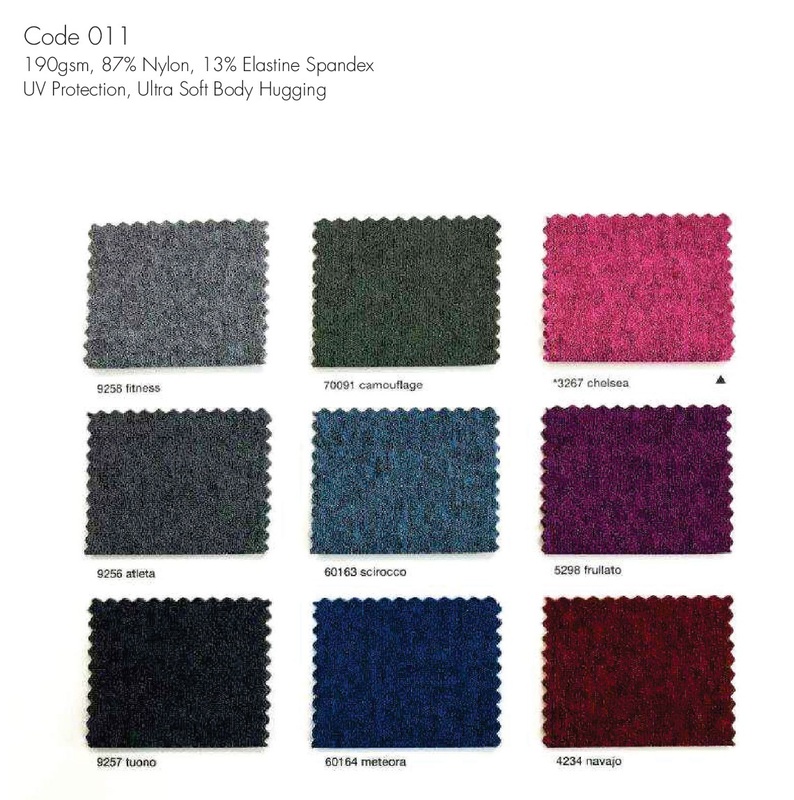 Supplex: A trademark of Invista, Supplex fabrics are breathable and fast-drying with great color retention. Supplex is usually a stretch jersey, but can sometimes come as a thin woven, too. This is a useful term to search for, as many online retailers label any wicking jersey as “supplex”. 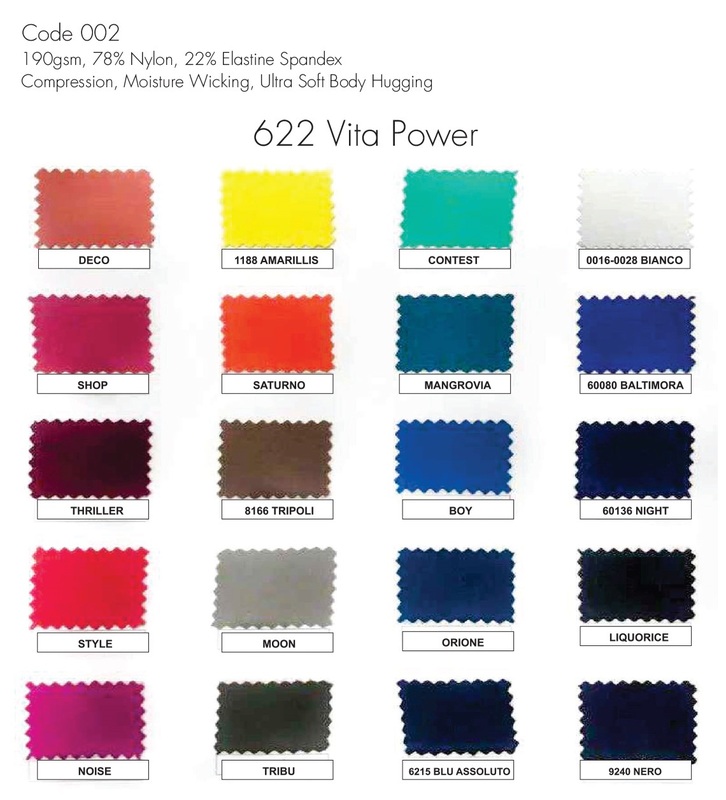 Tactel: Also a trademark of Invista, Tactel fabrics are strong, light, soft, and dry eight times faster than cotton. Tactel is often used for underwear, and comes in the form of stretch jersey. Lycra: It may surprise you, but Lycra is actually a trademarked name of Invista, and it falls under the generic “spandex” name. Lycra fabrics are extremely stretchy, have great recovery, and are often blended alongside other fibers to help maintain shape and support. 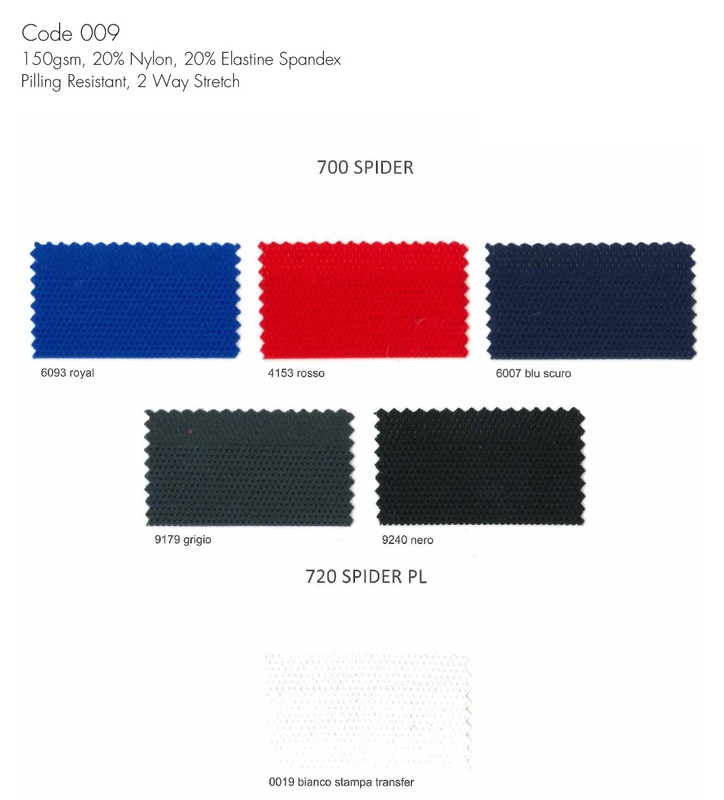 Lycra is always seen as a stretch fabric, but can be inserted into wovens or jerseys, and used in activewear, swimwear, underwear, hosiery, and pretty much any other garment you can think of. Dri-Fit: Dri-Fit is a trademark of Nike, and the main advantage of this wicking polyester is its high evaporation rate. Dri-fit usually has a little stretch, and can often be identified by its small, regular holes. It’s most commonly seen in “technical” race shirts given away at events.